I'll be the first to admit: I always knew I was going to be the type of momma to go a little overboard on the nursery. I knew there would be a well-developed Pinterest board, a neutral color scheme, and plenty of non-baby decor items neatly arranged on top of the dresser. I knew people were going to roll their eyes at me. Some of you are probably rolling your eyes right now. Because halfway through decorating Everett's nursery, I realized something about the process. I realized that my attention to detail and obsessive compulsive tendencies were less about making a Pinterest-perfect room and more about simply making room. There I was---six months pregnant---folding and re-folding neat stacks of freshly washed burp cloths, having the epiphany of a lifetime. I was making room. In my heart. In the dresser. In the closet. In my marriage. In my home. In my life. That nursery became a sanctuary for me---a place where I could let my mind wander and spend intentional time focusing on the tiny life growing inside of me. I spent hours upon hours in that room, arranging globes and hanging maps, folding onesies and stocking the diaper drawer with unopened creams and lotions. As I moved around the room shifting items on the bookcase, I wondered what our baby would look like, sound like, be like. I wondered if he would love to read like his mom and if he would be good at basketball like his dad. With every folded onesie and pinwheel tacked to the wall, I felt a little more ready, a little more connected, a little more prepared. It was therapeutic. Cathartic. Peaceful. I found myself drawn to that room every afternoon, straightening books on the shelves and fluffing the pillow on the rocking chair. I moved the teddy bear to the left of the crib, then back to the right, then back to the left again. I carefully analyzed every item in that room, every sock, every piece of art on the walls. I could have described every last detail in a police report if I needed to. That nursery was more than a nursery. It was the room where I made room---for him, for us, for all of it. As I approach the ninth month of my second pregnancy, I have found myself spending more and more time in this baby's room. I feel guilty admitting that his nursery has been more of an afterthought, but that's the truth. I have only just now started putting the room together, with seven weeks of pregnancy left to go. 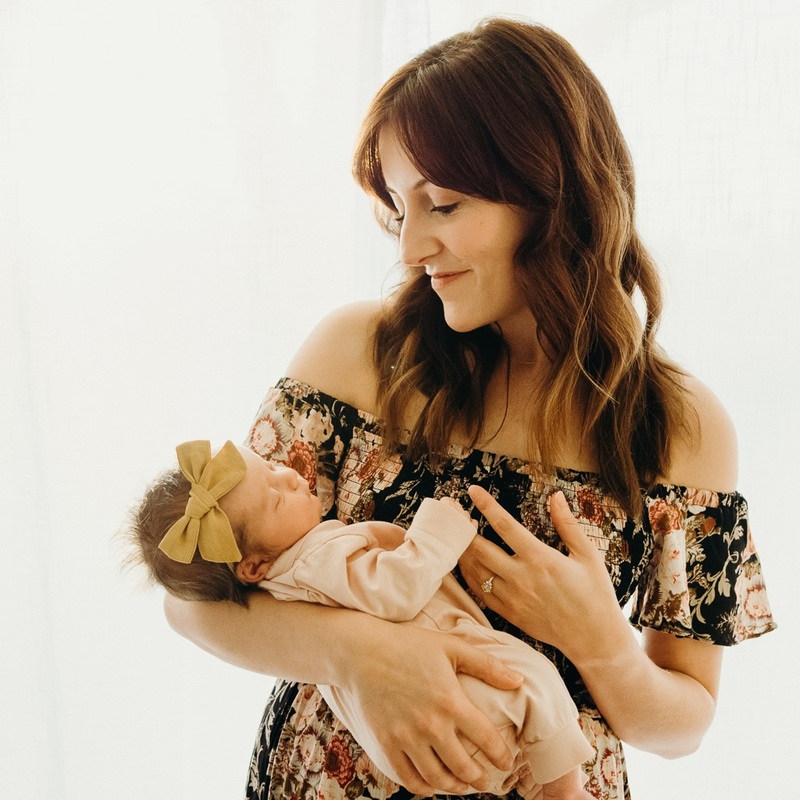 It has been hard to focus, to be intentional, to feel connected to this life growing inside of me while the first life that grew inside of me is running around the house like a monkey jumping off the couch and asking for more crackers. If it wasn't for the fact that none of my clothes fit and I have to pee every sixteen minutes, I might occasionally forget that I'm pregnant altogether. And I really, really hate that. So, for the next seven weeks, I'm giving myself permission to turn back into that crazy, eye-roll-inducing momma. I'm giving myself permission to fold and re-fold the onesies, to meticulously arrange feather decals on the wall, to sort the books alphabetically if I feel like it. I'm going to find room in the budget for a new rug, and I'm going to order that $26 print off Etsy that compliments our theme so perfectly. I apologize in advance for the instagrams that will surely follow. But I hope at least now you see---this nursery is not about the elephant crib sheets or the adorable giraffe lamp or the dream catchers hanging on the wall. And those other mommas over there? It might not be about their birdcages and twig wreaths and vintage dresser knobs. For some of us, it's simply about making room. In our hearts. In our dressers. In our closets. In our everything.